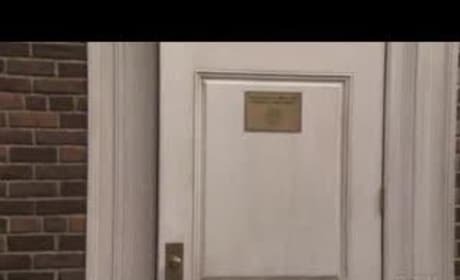 Part III of IV of the 12th episode of the first season of Gossip Girl, "School Lies," which aired January 2, 2007. Video is property of The CW. All rights reserved. 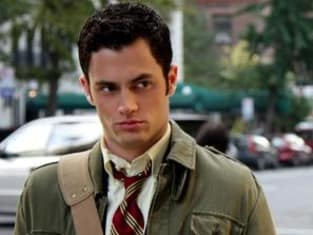 Part II of IV of the 12th episode of the first season of Gossip Girl, "School Lies," which aired January 2, 2007. Video is property of The CW. All rights reserved. 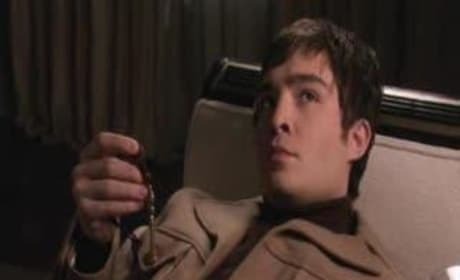 Part I of IV of the 12th episode of the first season of Gossip Girl, "School Lies," which aired January 2, 2007. Video is property of The CW. All rights reserved. Serena "celebrates" with her mom, Lily, who just got engaged to Bart Bass. 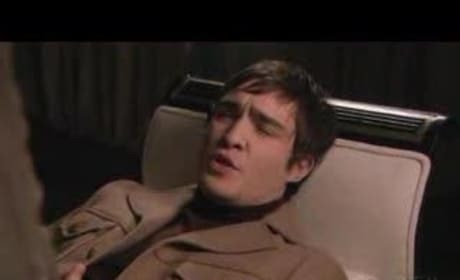 Brother Eric is there... as is step-brother Chuck Bass! Serena also learns that Dan was right - strings were in fact pulled to get her off the hook for the pool party. Nate tries to cover for Blair, thinking it was she who let the kids into the pool. But the headmaster calls his bluff. D'oh! Nate can't seem to do anything right... even fall on his sword (so to speak) for his dream girl! The school's headmaster reams the kids out for the pool party - after pics are discovered on somebody's phone. She then demands whoever started this thing come forward. 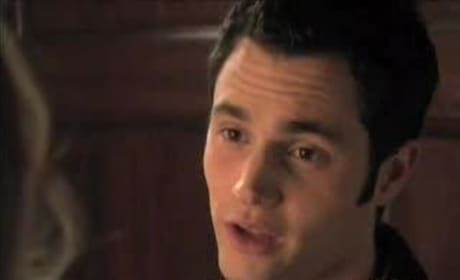 Dan shows up at Blair's essay-writing party and gets an earful from Chuck when he sees him playing with the pool key - suggesting he might know who started the pool party. Rufus and Lily struggle with their relationship.... it's like they are driving each other further apart the more they wish to be together. The secret and soon to be disastrous pool party... thrown by Serena, which we don't know at the onset of course. Cool scenes. Chuck is great, wearing his sunglasses indoors. At night. Dan and Serena talk about what happened at the pool and how he can't afford to take the fall for somebody else. Serena and he come from very different worlds, he says, echoing a familiar theme. 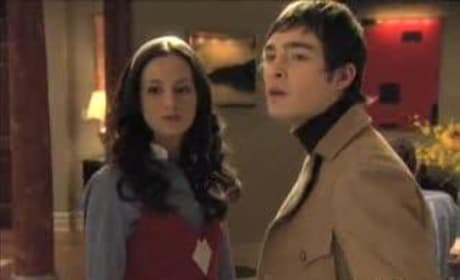 Couple that wasn't Blair and Chuck argue again... the gist? Her virginity and faking it for Nate. 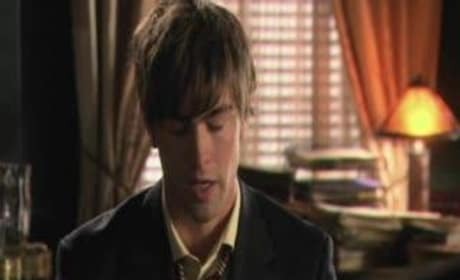 He wants Blair and threatens to tell Nate what happened. Oh, and Vanessa is filming this as part of a documentary of some sort. 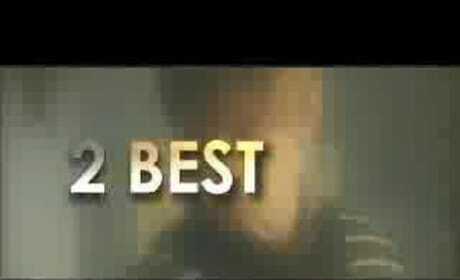 The first CW preview for "School Lies," the 12th episode of the first season of Gossip Girl. Looks like a good one!